Today Tuesday February 14, the Furniture and Appliance store will feature experts from Techno IT Training and Consultancy Services, along with Courts in-house technicians, who will train shoppers for free, in areas of computer use, such as the World Wide Web, Microsoft Word, Office, Excel, Power Point, among other features. There will also be sessions on selecting the right PC or laptop, and antivirus protection. The first day of the workshop was held on Friday, February 10. The workshops, which are part of the storeâs product demonstration campaign, also support its current computer promotion, where customers are being offered discounts on selected desktop computers. Purchasers of selected desktops will also receive a free printer, and free laptop cases with the purchase of selected laptops. Shoppers can choose from a wide range of desktops, laptops and accessories, from brands such as Sony Vaio, HP, Dell, Lenovo, among others. 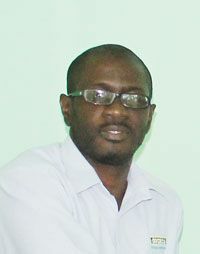 Marketing officer of Courts Alexis John pointed out that his company is extremely delighted to host the workshop, which he considered very important, in order to educate their customers about the computer, internet and other computer related applications in this digital age.